The ultimate goal of running any business is its commercial viability eventually, leading to growing profit margins. This can best be achieved by increasing organizational efficiencies and efficient achievement of the business goals. Profits are what the entrepreneurs take all possible business risks for. This post is an effort to help you appreciate the relevance of using a modern-day web development technology like Ruby on Rails for building a commercially successful web application for your business. We are going to inform you here about the business value that the use of Ruby on Rails is going to create for your web application that no other programming language is ever going to do. 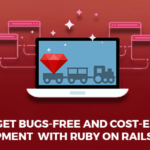 One of the hottest technology trend, Ruby on Rails is undoubtedly one of the best choice you can make for developing your business application. This is off course after taking a few factors into consideration which we have discussed in a lot of our articles and posts. Here, we would like to discuss with you about the biggest business advantages of employing this technology for web development. This framework is so easy to learn and understand for even the amateur developers that it turns the developers from beginners to specialists in practically no time. Using this framework, they can move the entire project from its planning phase to execution with a lot of speed and ease. The best thing about RoR is that it is available in the open source which makes it cost-effective and efficient for any start-up looking to make the most of their initial investment. Moreover, it runs on the Linux operating system to make it all the more efficient. Like the technologies supporting a majority of the other successful web based applications, Ruby on Rails is also totally open source and freely available on the web. The popular Content Management Systems like Drupal and WordPress are a few examples. All these are successful owing to an extremely active and engaged community of experts supporting these technologies. The same is the case with Ruby on Rails. 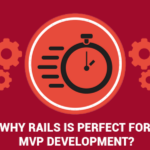 The dedicated community of Rails experts invests a lot of their time and efforts into constantly adding value and improving the use of this technology. 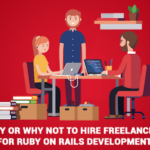 In this way, they contribute significantly by calibrating and improving the coding experience with Ruby on Rails. This imparts a lot of help to everyone working on their important projects based on Ruby on Rails. So, this community offers an opportunity to get handholding from more experienced developers who have worked on the same or similar application as yours and are aware of the best practices and the common mistakes to avoid, to help you save lots of time and effort/ and to provide you with support. Owing to the easy coding conventions followed in case of Ruby on Rails, it lets your project get executed smoothly without any intervention – which is what any business owner expects from the development technology of choice for their business application. So, this results in a really short time to market, making your business application reap high value in terms of its Return on Investment. 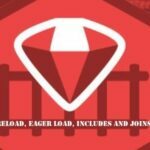 The beauty of adopting Ruby on Rails services and practices for your web application development is that it lets you build your own ‘ready to deploy’ applications that you simply need to plug and play. In this way, it proves to be the best application development framework that lets you develop highly customized, flexible and scalable applications that are versatile and cater to a diversity of purposes. The development being modular in nature, you can easily carry forward the blocks of your previous custom applications for the new ones instead of having to build the same from the scratch each time. Looking to get your app developed? RailsCarma can help! 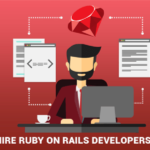 Check out our portfolio to understand how we are helping to change the shape of software industry by providing Ruby on Rails Developer. Get in touch with us now!